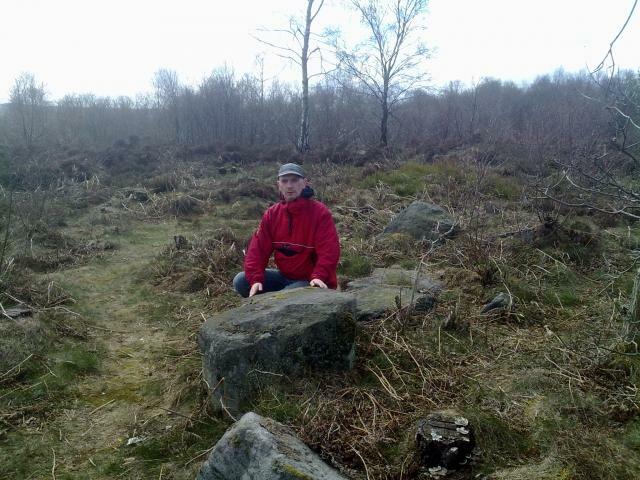 Is it a stone circle ? I don't know to be honest. 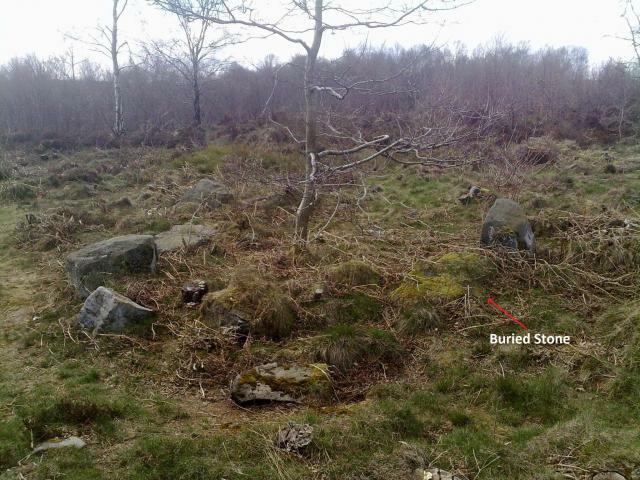 There's definitely something circular about it if you include the buried stones, but it has a definite "Lawrence field" or Strawberry Lea feel about it, as it's located in a sea of stone. 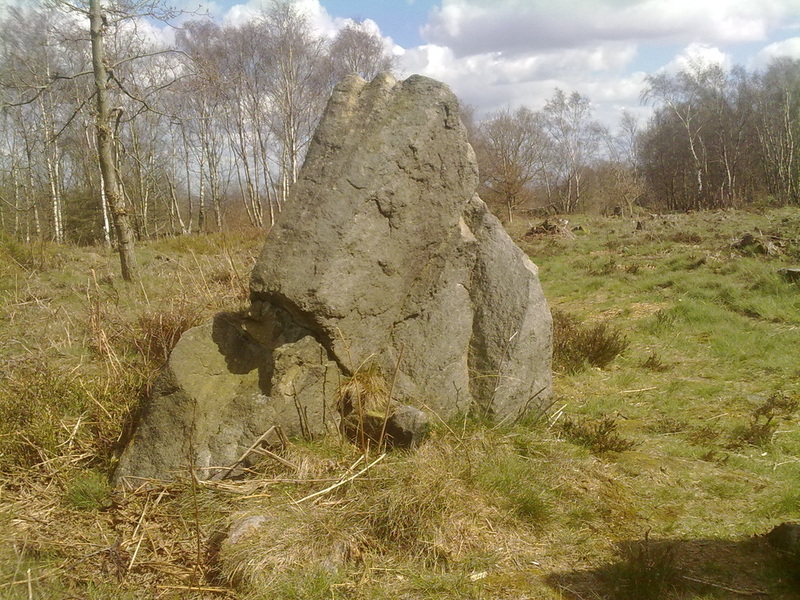 The stones themselves could well fit within the nature of local stone circle stones, but there appears no great age of weathering on them, though there's a little rilling on one of the larger fallen? stones. 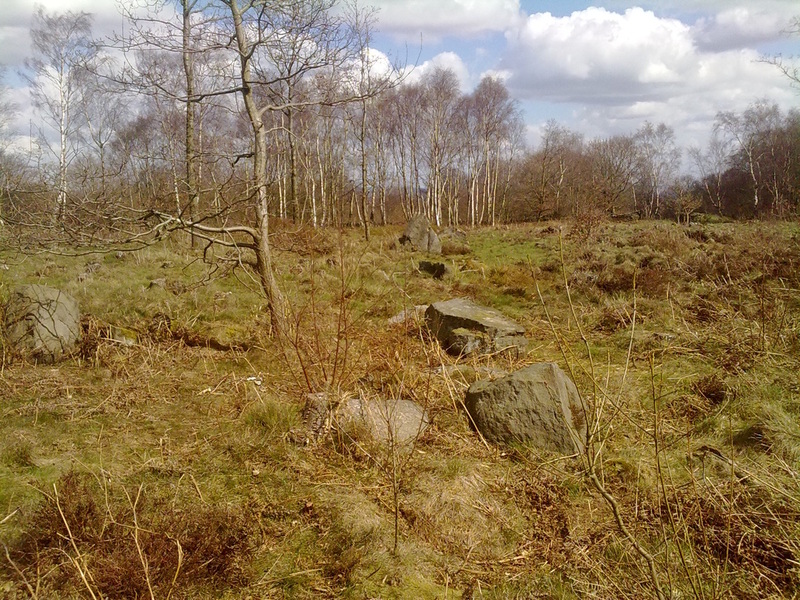 The circle is located 4 miles from Sheffield city centre on Loxley Common, which is part of the Loxley and Wadsley nature reserve. From Loxley road you need the turning besides the garden centre which is Long Lane. Immediately as you reach the summit of Long Lane take a right turn off the road which is signposted as a bridle way. There are two parking areas, the first by the nature reserve sign whilst a little further on there's a larger area, there's also limited roadside parking. Head through the commons access gate and follow the path till it splits left/right, take the path to the right looking for the large triangular shaped orthostat to your right, the "circle" is a few metres away further towards the edge. The picture below should aid location. The large orthostat close to the circle. And the orthostat visible behind the circle.